I’m always on the hunt for new affordable makeup, so I’m constantly hitting up the drugstore to find new products to try out. I picked up a few products, some being new releases, and I thought I’d share them with you. Enjoy! I’ve been seeing everyone review this new foundation from Wet n Wild and most reviews have been positive so I figured I’d pick it up and try it out for myself. I used it the other day and so far so good. I’ll be posting a review soon about this new foundation line once I use it a little more. I had to get the pressed powder too. This foundation line from Wet n Wild is supposed to be great for taking pictures. I can’t wait to play around with it a little more and let you guys know what I think of it. Another new product from Wet n Wild are these new contour sticks. I picked one up and I tried it out and I’ll be sure to let you know what I think of it in my full Wet n Wild review. They also recently launched these highlight sticks, which are just so pretty. Another product I’ll be reviewing soon! Last Wet n Wild product, I swear! 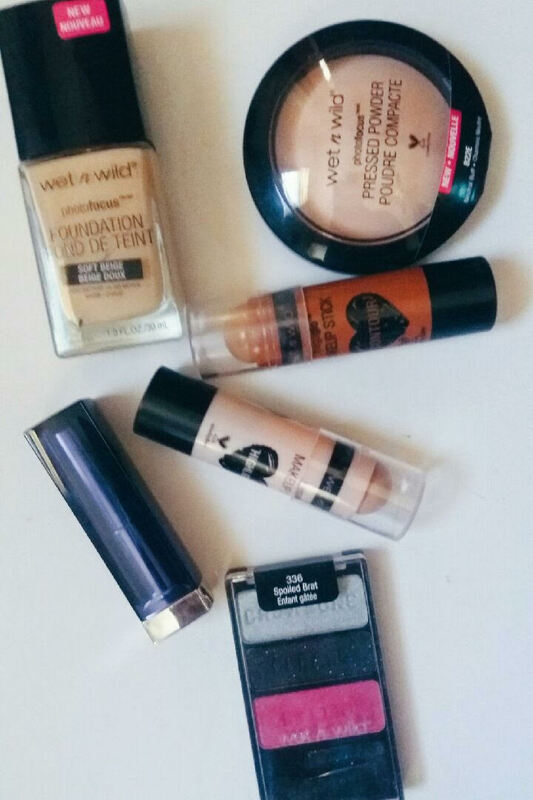 I love the eyeshadow trios from Wet n Wild, they’re always great quality for the price. I want more vibrant colors to play around with and this one comes with a super bright pink! I can’t wait to do some really cool eye looks with this eyeshadow! I love playing around with bright colors on my lips and this lipstick shade is really cool. I can’t wait to create some bold looks with this lipstick. I’m so excited to play around with the new makeup I recently purchased! Don’t forget to be on the look out for my Wet n Wild review coming soon! What are some new makeup products you recently purchased? I’d love to hear, let me know in the comments! ← | W7 Beat It! Palette | Review + Swatches!